IFDC’s Pret A Cover™ Buyers Lane an astounding success! 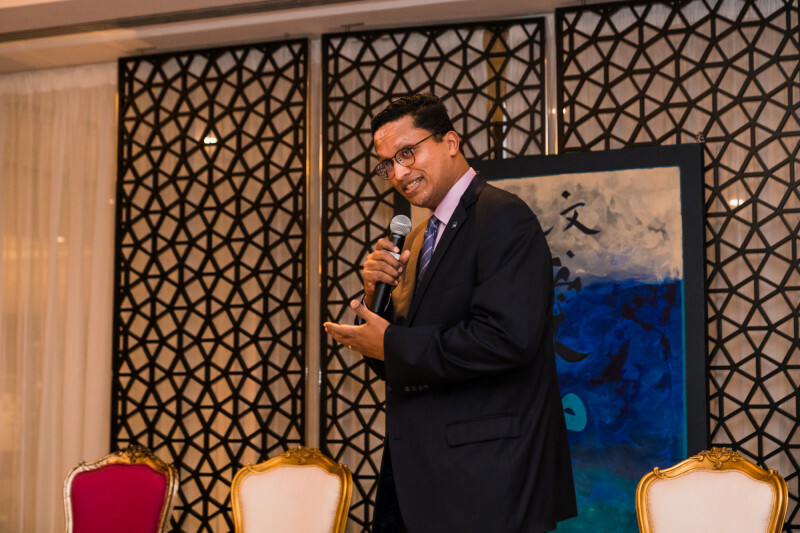 This past Friday, November 2nd at Pullman Dubai Creek City Center, something thrilling happened to the Dubai art scene. 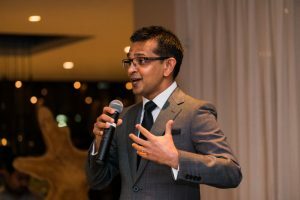 Dressed to the nines, VIP art lovers attened the highly anticipated launch of “Artist Playground by Pullman” in partnership with IFDC’s Pret-A-Cover™ Buyers Lane. 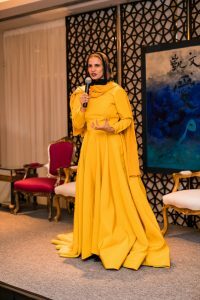 The selected artists unveiled their art which will remain on exhibit for the next 3 months, after which the Pullman Dubai Creek City Center and IFDC team will introduce a new selection of artists to art lovers, media, and VIP clients. 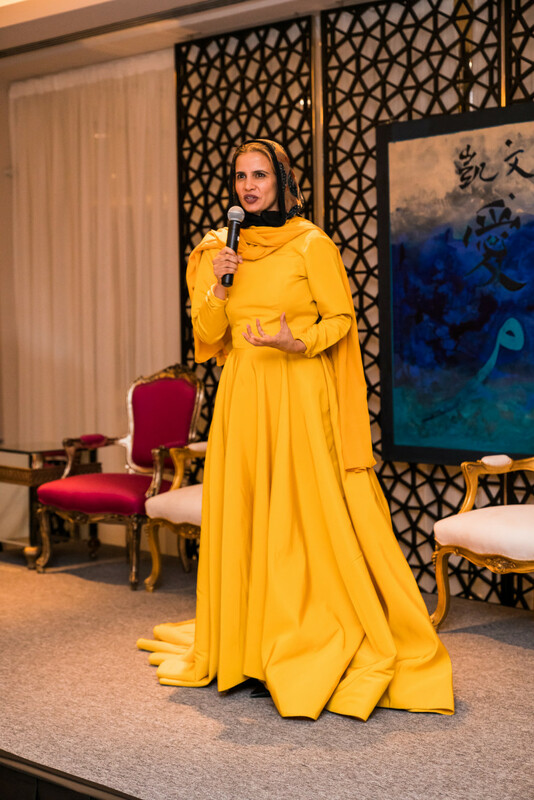 The artworks by notable artists, gastronomic delights by the signature t-Lounge by Dilmah, live furniture painting by acclaimed artist Ramsha Fatima from Falaknaz Warehouse, live flower arrangement demo by expert florist, Viviane Torbey were just the beginning. 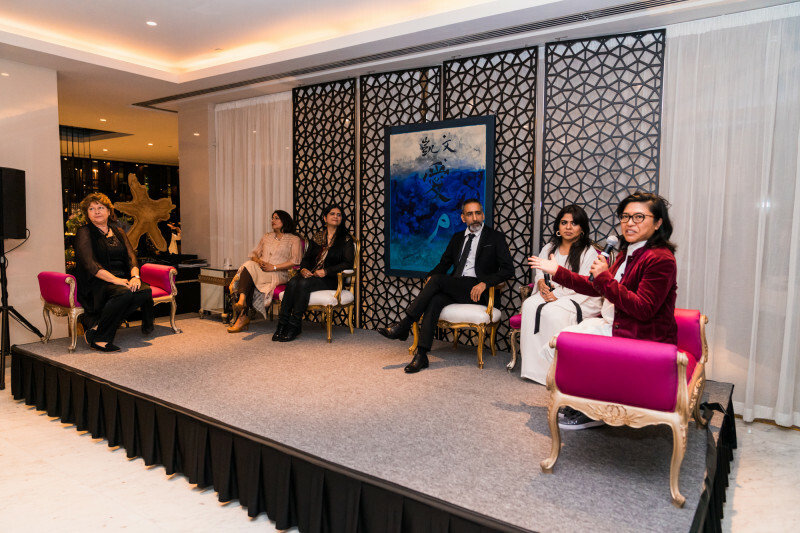 The beautifully done up stage by none other than renowned interiors and furniture experts Burgundy and Zoq invited the reigning artists to a panel discussion, moderated by Thomson Reuters’s Emmy Abdul Alim. There was treat after treat for the attendees and the reviews from the VIPs all summed up that the launch exceeded everyone’s wildest expectations! Emmy Alim of Thomson Reuters superbly moderated the engaging panel discussion as she gave us great insight to intimate moments with each artist that she spoke to on the stage. Great artistic profiles were adored on this night, like Musab Al Rais, son of the master Emirati artist Abdul Qader Al Rais, the clever illusions of Muhammad Ibrahim. Then there were mystical calligraphies of Ahmad Khan and also Zulqarnain whose painting was purchased immediately by an art buyer right at the beginning of the evening. The meditative art by Arif Khan and the works of Bahraini artist Abbas Al Mosawi, miniatures by Noreen Akhtar, generated strong media interest.